"It’s all about the Soil"
What are most organizations striving for? 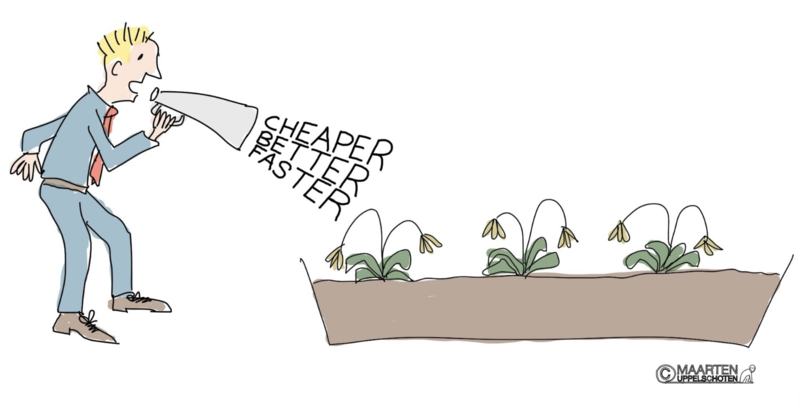 Most organizations, whatever they do and create, want to do the work “Cheaper, Better and Faster”. They want to become more effective and deliver the best outcome possible. Which basically means they want to change and improve the way they currently do things and want to be able to constantly adapt to ensure the most valuable outcome. How to enable this change and how to ensure that the change leads to the desired result? This is where we see many approaches and models, but often the most important ingredient is forgotten…… people. Any model, structure, process or tool will not result in a value adding change, if the people involved do not recognize how the new model, structure, process or tool will contribute to their purpose and that of the organization they are part of. In fact, it rarely works (only in straight through production lines) in such cases. Let me make this more clear and illustrate this with an example. Most will recognize a manager that tells the teams what to do and when it needs to be delivered. Sometimes even how to do it. When deadlines are at risk people are told to work faster. When budgets are at risk teams are told to reduce cost, do it cheaper and/or work more efficient. When many issues arise, teams are told to do it better. A lot of telling, but no asking and supporting. The teams are often not asked what is needed to make it happen and what prevents them today to do it cheaper, make better and faster tomorrow. The teams are not inspired in becoming self-organizing, continuously improving and outcome driven (focused on delivering value). What should we do and how do we become or create true leaders? True leaders of any group of people are focused on creating the optimal environment for the people and teams that allow them to flourish, think, act and improve. Whatever the people and teams need to fulfill the purpose in a more effective way, is what a leader should help to provide. I like to explain this by using the metaphor of a gardener and his/her garden. I find this metaphor a simple and effective way to explain what should be driving a leader that wants teams to be self-organizing, continuous improving and focused on the outcome (value). In this metaphor, the gardener is the leader and the plants that produce excellent fruits (products & services) are the teams. A crucial item in a garden is the soil as it nourishes the plants. You can have perfect weather (enough sun and water) but no plant will grow or produce fruits if the soil is not good. Even if you put a strong performing plant in bad soil it will wither and become weak. The focus of a true leader should be on optimizing the soil! If you do this, you are or will become a true leader. 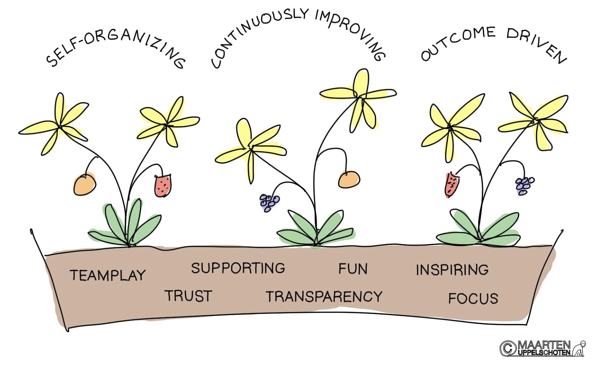 So what is a good soil for teams to flourish and perform in? What should teams ask and strive for and, equally important, what should leaders provide and protect? This differs per environment and/or organization and the only way to find out is to communicate about it. The following exercise is used to discover together what the desired ingredients are for the soil. Explain the above and draw an empty soil. Next, ask teams to write on stickies what they believe should be in the soil and place it in the soil. The next step is discussing the content of the soil and create clear actions together with the leaders and teams on how to create the new soil (environment) and a platform from which the next steps can be launched. The values I have seen most when performing this exercise with teams are shown below. The key is to “just do it” together. Interdependency starts with communication and understanding the shared purpose. We are all responsible for each other’s success and making it awesome! 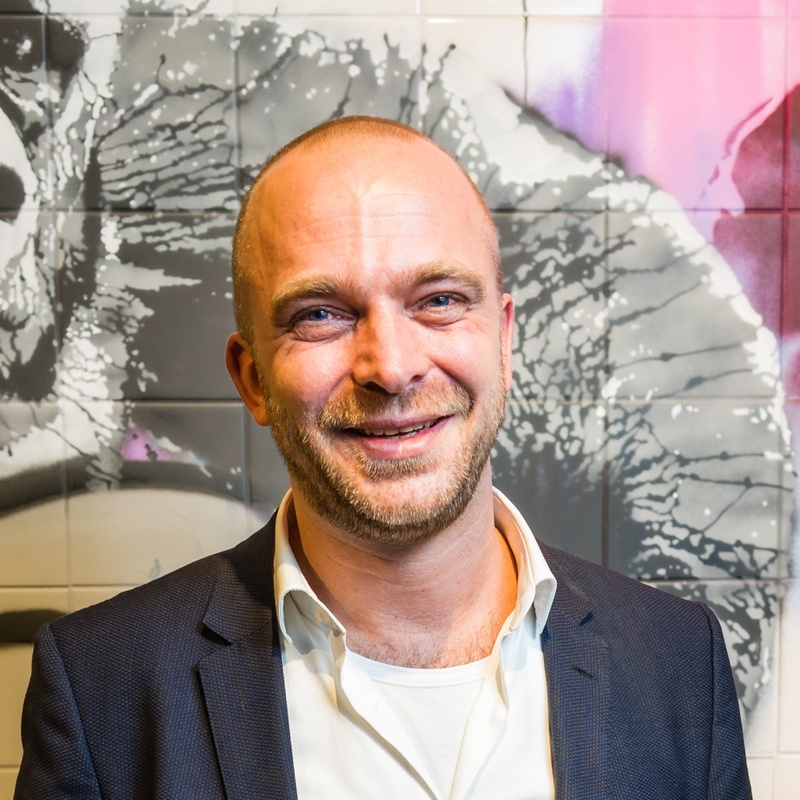 Do you want to learn more about Agile Leadership from Maarten Uppelschoten?